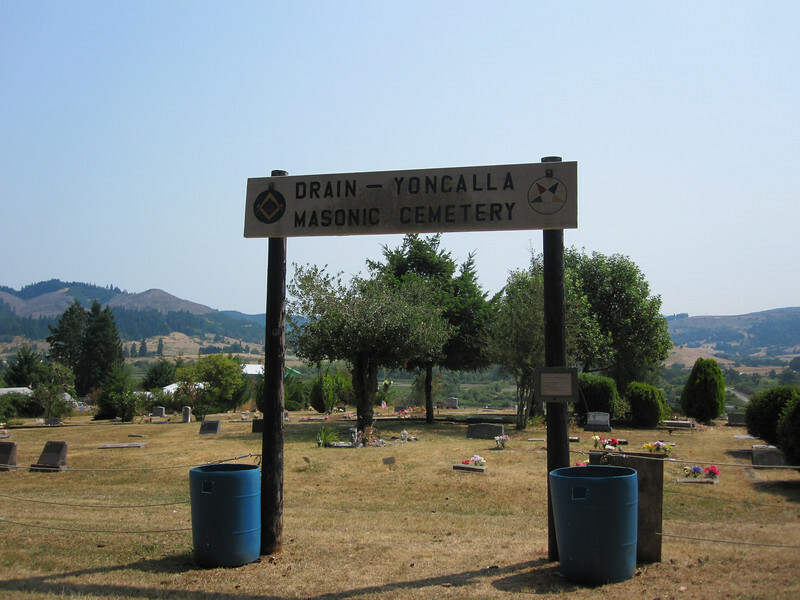 If you turn directly around from looking at the sign for the Applegate Pioneer Cemetery, you see the Drain-Yoncalla Masonic Cemetery. The two cemeteries share a parking lot (and an amazing view). We did not walk through the Masonic Cemetery at all. It appears to be much newer.